During surgery, hospitals use warming blankets to regulate a patient’s body temperature throughout the procedure, as well as to help with other recovery-related issues following surgery. Some patients who underwent procedures during which Bair Hugger surgical warming blankets were used have developed serious joint infections contracted during their surgeries. 3M, the blankets’ manufacturer, is believed to have known of an increased risk of these types of infections in certain instances but failed to warn doctors and patients of this potential. The product liability lawyers at the Naumes Law Group are dedicated to helping patients injured by these blankets seek compensation from the parties responsible for causing their harm. If you have been injured due to an infection caused by a Bair Hugger surgical blanket, contact our Boston Bair Hugger lawyers to find out how we can help. 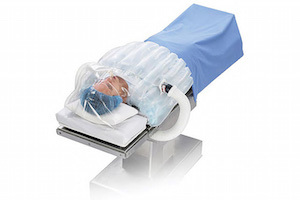 Surgical warming blankets, such as 3M’s Bair Hugger model, use a technique to warm patients during surgery whereby warm air is pushed through a hose located under a blanket covering the individual. Aside from making sure that a patient’s temperature is regulated while they are under anesthesia, these blankets are meant to reduce bleeding and shorten the length of recovery time for patients. The forced heating system of the Bair Hugger surgical blankets allows germs and bacteria to form due to the recirculated air, which has led to severe joint infections in certain patients. People who are most susceptible to these infections are patients undergoing orthopedic surgery, such as knee or hip implants. Patients who have developed joint infections from Bair Hugger blankets have had to undergo additional surgeries or antibiotic treatment, and in some severe instances, they have required joint fusion, amputations, or extensive revision surgery. The additional stress, injury, and costs of treatment may have long-lasting effects on a patient in Boston or beyond, as our Bair Hugger attorneys understand. Manufacturers that endanger the public by putting dangerous products on the market are strictly liable for any injuries that result. A product contains a design defect when it is inherently dangerous to consumers who use the product as intended. Claims against 3M allege that the manufacturer failed to redesign its Bair Hugger blankets, despite its safety issues. Further allegations state that 3M tried to conceal the danger of joint infection, even though it knew of the risks associated with its product’s use. If manufacturers know or should know of the risks associated with a product’s use, they have a duty to warn consumers of that danger. Some evidence suggests that despite knowledge of the increased potential for joint infections associated with the use of Bair Hugger blankets, 3M did not warn medical professionals or patients of this risk, and thus they did not have enough knowledge of the dangers to make an informed decision and opt for an alternative method. Patients who have suffered significant injuries due to a defective product may recover compensation for medical costs, lost earning capacity or income, pain and suffering, and other damages. In Massachusetts, these product liability actions must be filed within three years from the date of a victim’s injury or death. If you have contracted a joint infection following a surgery involving a Bair Hugger surgical blanket, the injury attorneys at the Naumes Law Group can help you determine your next legal steps. Our Boston Bair Hugger attorneys also serve residents of Springfield, Worcester, Waltham, Watertown, Hyannis, Malden, Medford, Taunton, Peabody, Braintree, Weymouth, Quincy, Pittsfield, and Plymouth, as well as other areas of Suffolk, Middlesex, Barnstable, Berkshire, Bristol, Essex, Franklin, Hampden, Hampshire, Norfolk, Plymouth, and Worcester Counties. Contact our office toll-free at 844-826-8445 or locally at 618-227-8444, or contact us online to find out more about how we may assist you. Cases are handled on a contingent fee basis, with no charge for your initial consultation.